-- Two Minotaur IV and One Minotaur I Rockets Ordered for Missions in 2010 and 2011 to Support the Air Force's New ORS Office -- -- A Total of 24 Minotaur Vehicles Have Now Been Ordered Under OSP Contracts --DULLES, Va., Apr 15, 2008 (BUSINESS WIRE) -- Orbital Sciences Corporation (NYSE:ORB) announced today that the U.S. Air Force Space and Missiles Systems Center (SMC) has ordered three additional Minotaur space launch vehicles in support of the new Operationally Responsive Space (ORS) office. 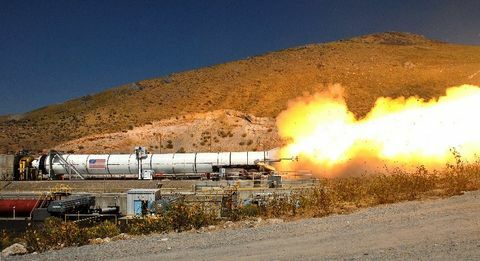 The Program Office responsible for Minotaur vehicles is the Launch Test Squadron (LTS) of the Space Development and Test Wing (SDTW) at Kirtland AFB, New Mexico. The latest order by the Air Force for Minotaur vehicles, which is valued at approximately $40 million, consists of two Minotaur IV vehicles and one Minotaur I vehicle for launches that will take place in 2010-2011. These are the first fully operational launch vehicles procured specifically for ORS since the Program Office was created in May 2007, demonstrating the Air Force's confidence in Orbital's reliable, cost-effective and responsive family of Minotaur rockets. "We are once again honored to be called upon by the Air Force to carry out these important launches to help further the Operationally Responsive Space initiative that will play a critical role in America's ability to respond quickly in a time of crisis," said Mr. Lou Amorosi, Orbital's Vice President and Minotaur Program Manager. 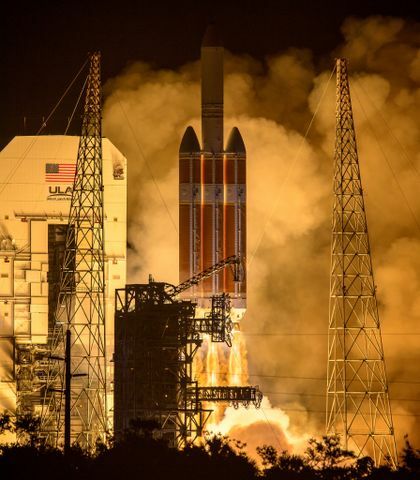 "Building on the success of the past ORS-related TacSat-2 space launch and NFIRE target vehicle missions, we are eager to support the Air Force's efforts to provide our country with quick-response space system capabilities." The addition of the three new orders brings the total number of Minotaur rockets procured by the Air Force to 24. Of the 24 total vehicles, 14 have been launched since the inaugural mission in January 2000, seven of which were the Minotaur I Space Launch Vehicle (SLV) configuration and seven of the suborbital Minotaur II target vehicle design. The first launch of the latest Minotaur configuration, the Peacekeeper-based Minotaur IV, is currently schedule for later this year. While the three new Minotaur vehicles are the first to be ordered through the ORS office, Minotaur vehicles have a history of responsive launch that has helped validate ORS concepts. In particular, the launch of TacSat-2 satellite on a Minotaur I rocket in December 2006 was a ground-breaking demonstration of ORS launch capabilities. This mission began with the contract award in late May 2006 and culminated with the successful launch less than seven months later, exceeding the ORS Tier 3 responsiveness criteria. Additionally, the critical processes required to proceed from the start of spacecraft integration with the launch vehicle were independently monitored and measured, showing the feasibility of accomplishing this process in six days or less, which exceeds the ORS Tier 2 responsiveness criteria. In August 2007, the launch of a suborbital Minotaur II also demonstrated a capability applicable to ORS by generating and loading the final trajectory targeting information into the rocket's flight computer just 90 minutes before launch. Because the Minotaur vehicles share avionics, software and other subsystems across the launch vehicle family, technologies developed and demonstrated on one configuration are readily transferred to the others, greatly enhancing their utility for a variety of launch missions, including ORS. 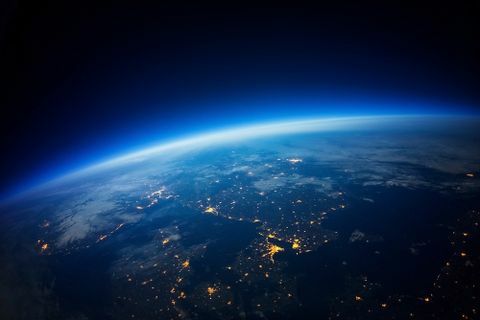 In addition to supporting the Air Force's ORS initiative with Minotaur rockets, the U.S. military relies on Orbital as one of the country's leading suppliers of launch vehicles used in missile defense applications. In addition to its leading position as a supplier of numerous target vehicles, Orbital is also designing and building the interceptor boosters for two major missile defense programs, including the Ground-based Midcourse Defense (GMD) system, which uses the company's Orbital Boost Vehicle (OBV), and the Kinetic Energy Interceptors (KEI) program, which is designed to intercept and destroy enemy missiles in the boost phase of their flight. These interceptors are part of a layered missile defense system for defending the nation, our armed forces and our allies against ballistic missile attacks.